As someone who has a hard time remembering what it was like to listen to music before you could hit “shuffle” or curate a digital playlist, I’m a big fan of automated music recommendation and Internet radio service Pandora. But that streaming service offers almost no Italian music, whether you want classic folk, pop power ballads or moody dubs in dialect. Enter Soundtracker, launched in 2010 by two Italian entrepreneurs. 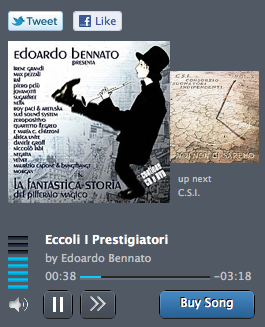 Best part: it offers a lot more than just Italian music and the interface is in English. Register for the site (it’s free) and start listening to artists you know before stone-stepping to those you don’t. Start with Pino Daniele and you’ll soon be listening to Quintorigo, Almamegretta, 99 Posse and Bandabardo’. Not sure how the algorithm works, but it seems a little more freewheeling than Pandora — starting with 70s melodic rocker with a social conscience Fabrizio De’ Andre station got me to an aggro hip-hop number from Caparezza in under four tracks. You can also download it as an app for your iPhone, Windows Phone 7 and, if you’re so inclined, share your location and tracks with your friends. Can a toe provide the answer to Mona Lisa mystery? Experts digging around a former convent in Florence have unearthed a big toe that might belong to Lisa Gherardini, the subject of Leonardo Da Vinci’s famed Mona Lisa painting. Little is known about the real life of the noblewoman said to have posed for Da Vinci, but she is thought to have died in the 1540s in Florence’s Sant’Orsola convent. 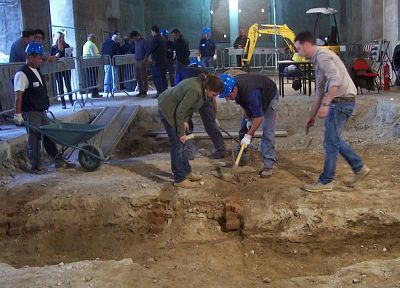 Last month, experts started digging around Sant’Orsola in hopes of finding the remains of Gherardini. Working on the project are two of Italy’s famed art super sleuths, Francesco Mallegni, the anthropologist/detective who famously brought to light Dante’s Cannibal Count and Silvano Vinceti. So far, in the first tomb excavated under an altar, the only significant remains are a bone fragment, probably of the big toe of a left foot. Mallegni told daily La Nazione that it might belong to a woman and provide enough DNA material to identify Gherardini. Research will continue with ground-penetrating radar in the central part of the church where they believe there may be other crypts. The large Sant’Orsola complex dates to 1309, ceased its life as a convent in the 1800s, then became a tobacco factory before being used by the university up to the 1950s. It stood semi-derelict with its windows bricked-up until restoration work started in 2010. 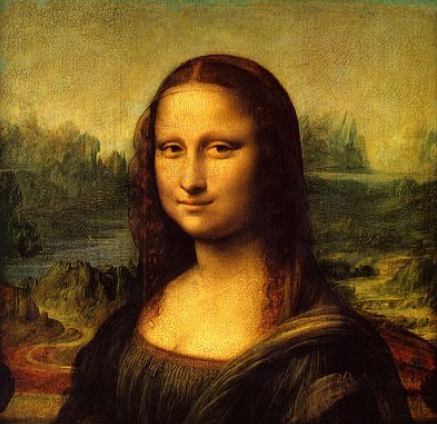 Hoping to solve the mystery behind Leonardo Da Vinci’s masterpiece Mona Lisa, scientists in Florence are looking for the bones of his presumed model, Lisa Gherardini. 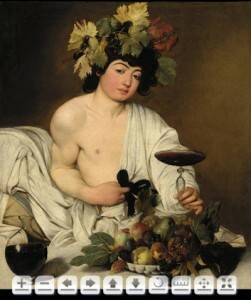 Working on the project are two of Italy’s famed art super sleuths, Francesco Mallegni, the anthropologist/detective who famously brought to light Dante’s Cannibal Count and Silvano Vinceti who found painter Caravaggio’s remains. Researchers hope to finally solve the ongoing mystery about the model with the mysterious smile: over the years, historians have theorized that the woman was in fact a self-portrait of the painter or perhaps a young boy. How could they prove it?